Welcome to the First American Economic Center Blog, a top source for the latest housing market research and analysis driven by Chief Economist Mark Fleming. Did July Housing Starts Signal More Housing Supply For Home Buyers? The short answer is yes. 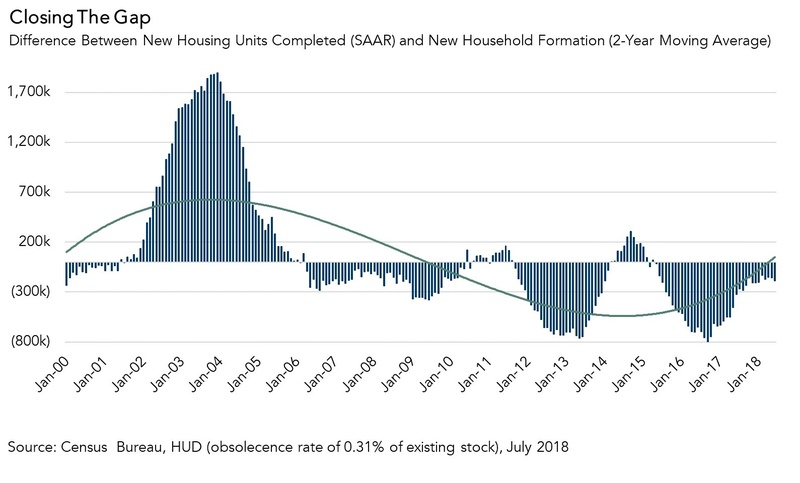 Home buyers looking for more housing supply to choose from can take heart, as Thursday’s Census Bureau report on housing construction showed builders are starting work on additional housing, inching closer to balancing inventory with demand. Are Home Builders Closing The Gap Between Housing Supply And Demand? Yesterday’s Census Bureau report on housing construction bodes well for home buyers, as the pace of housing completions increased 2.2 percent over last year. The continued year-over-year growth in completions means more homes on the market in the short-term, offering some immediate relief in alleviating housing supply shortages.